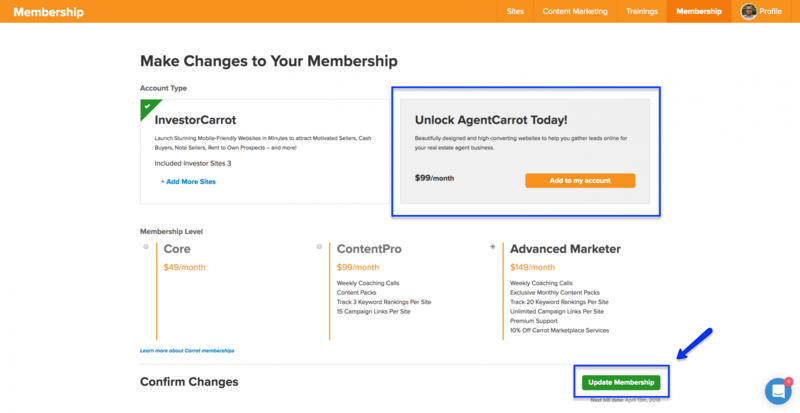 This tutorial will show you how to remove AgentCarrot from your Carrot account. Here you can tell that you’ve successfully removed AgentCarrot from your account because it has been grayed out. Just make sure to click “Update Membership” to save your changes!